Volcanoes are an awesome display of the Earth’s power. 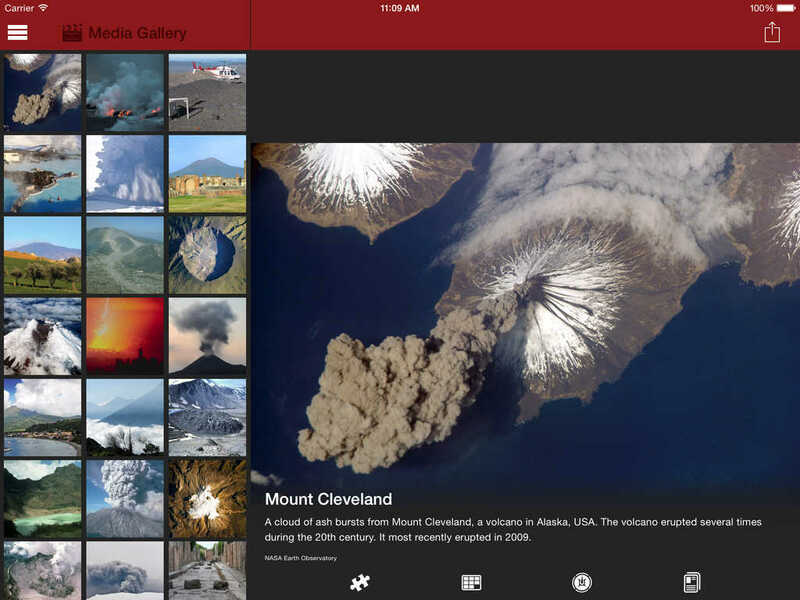 Explore them interactively with this new app and learn about the world’s major volcanoes and their eruptions, lava, plate tectonics, and much more. Learn and play at the same time through a variety of games like Memory Match, Jigsaw Puzzles, and the Magic Square among others. Learning has never been more fun with this interactive and educational app that is based on school curriculum. •Interactive Map – With this amazing tool you can locate where you are anywhere in the world and see how near you are to the most powerful volcanoes. 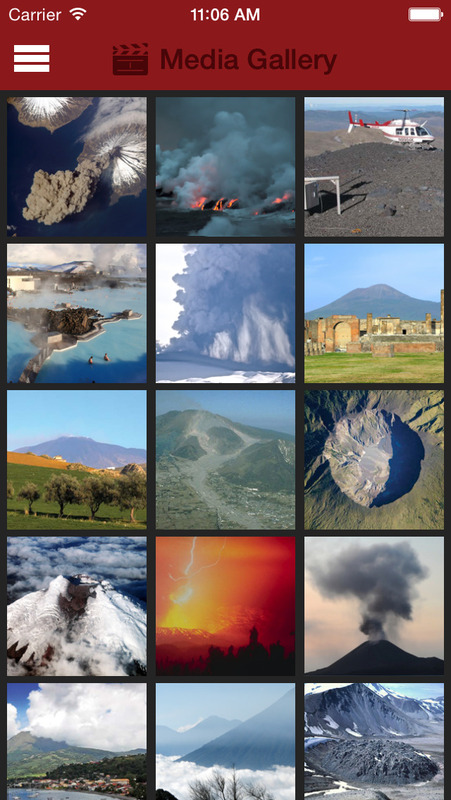 Want to see your favourite volcano? It’s easy with our map tool, use the zoom feature to see right into the craters. 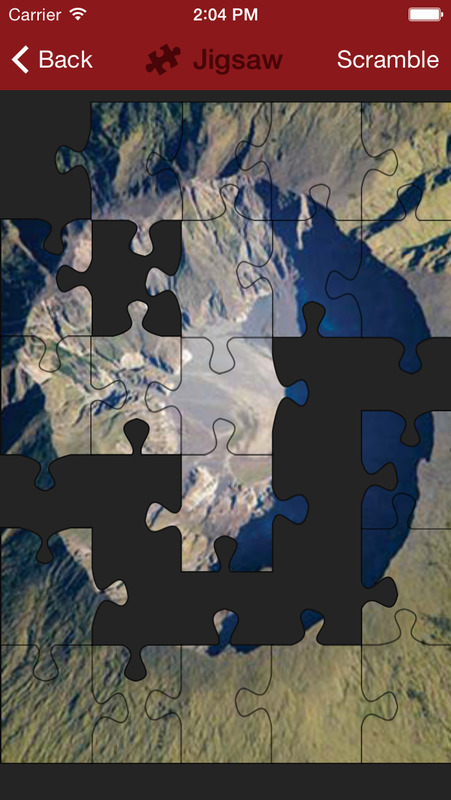 •Jigsaw Puzzles, created from amazing graphics of volcanoes. 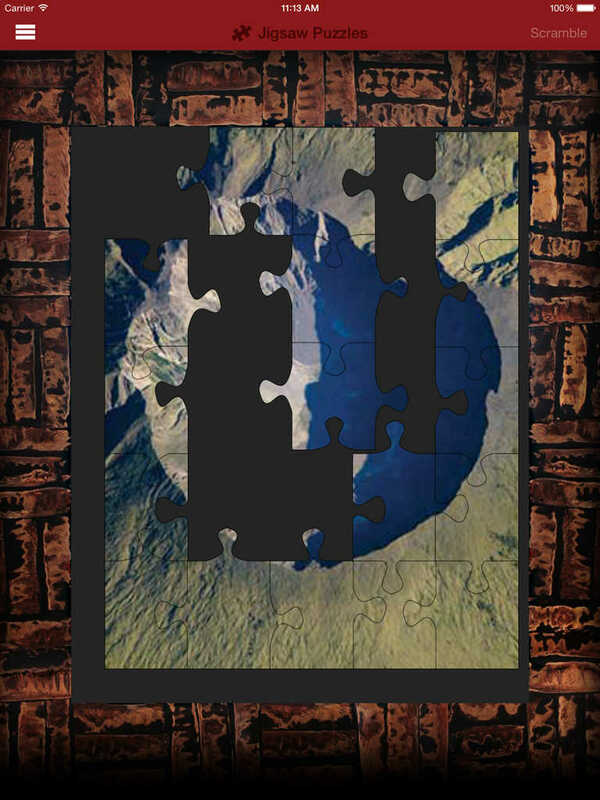 Break apart the puzzle and have some fun by shaking your device and then sliding the pieces back into place to complete the puzzle - it’s not as easy as it looks! 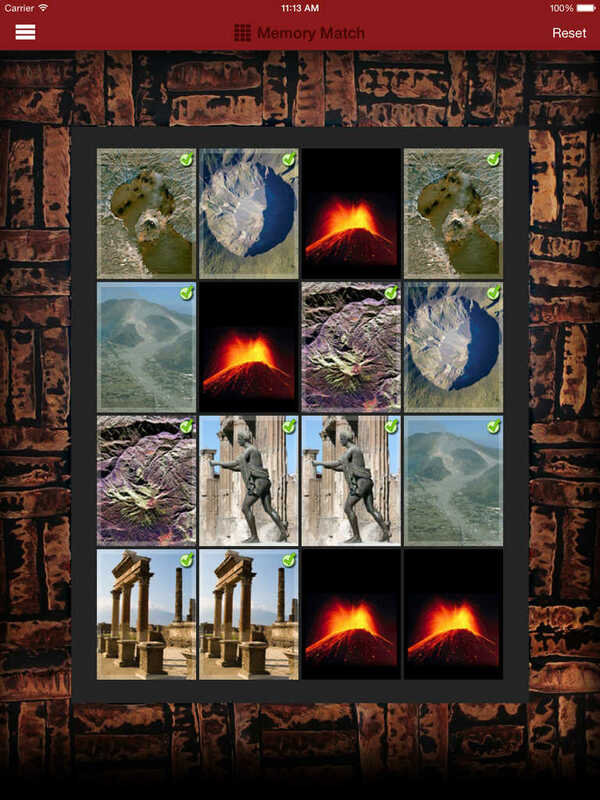 •Scramble images of volcanoes in The Magic Square game by shaking your device. Challenge yourself by re-arranging the squares to unscramble the image. 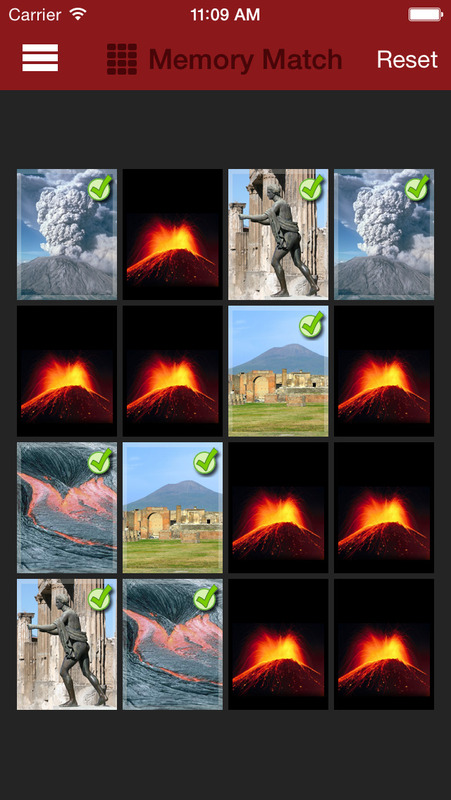 •Brush off - brush off the lava, soot and dust from the eruption of Vesuvius to reveal an object in the city of Pompeii and then try to guess what it is – how many can you answer correctly? 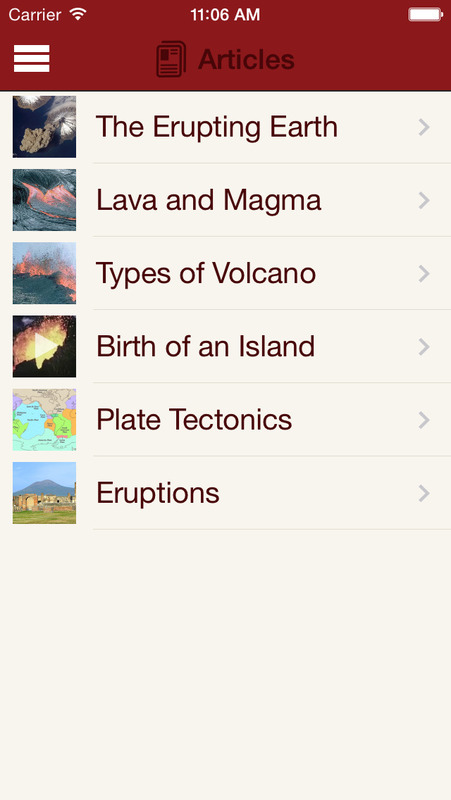 •Test your knowledge on volcanoes with the Quiz feature - how much have you learned? But hurry: you must answer quickly as the quiz is timed! •Test your memory with the popular Memory Match game and match up the pairs! 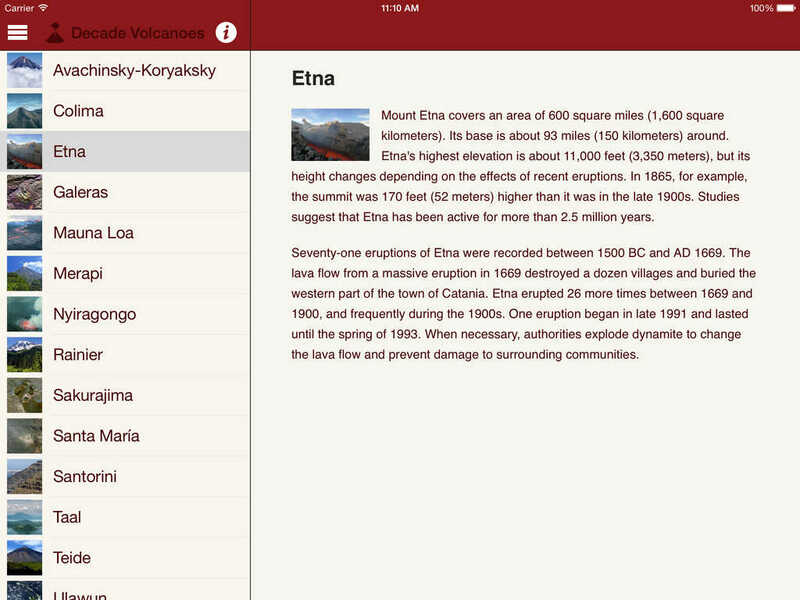 Why not discover more about volcanoes and link to Britannica’s online services – Britannica Online for Kids or Britannica Online - to continue your discoveries.